Getting co-signed by the likes of Kelis, Trevor Nelson and more, production duo Beatnik are back at it again with ‘People Start Talking’. 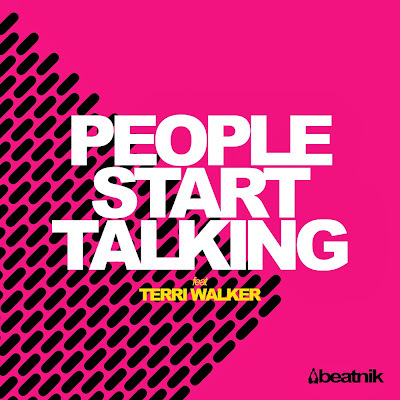 The duo call on UK R&B/Soul singer Terri Walker to feature and add her sensational vocals to the EDM track. With support from radio stations from BBC 1Xtra to Demon FM and Reprezent, Beatnik have a hit on their hands with this one especially with the fashion industry. Being incredibly fashion savvy, the guys also caught the attention of drink brand, Tia Maria, who chose three Beatnik productions for their national advertising campaign across UK TV & online. DJ Nikki personally features as one of five talented, creative women, alongside Laura Mvula & The PixieWoo's as ambassadors for Tia Maria's ‘In The Mix’ campaign, which included a double page spread in Grazia Magazine. Beatnik are unstoppable on the airwaves right now with everyone snapping them up! Be part of the movement and don't miss out! Check out ‘People Start Talking’ below!